1. Are the resources in the pantry only for students attending Gavilan College? The Gavilan College Food Pantry is open for the Gavilan College Community. Community members who are not current students may be required to purchase a day parking permit to avoid ticketing. 2. Do I need to bring income verification? No, verification is not required to utilize the pantry services. 3. How many times a week can a student visit the food pantry? Students are able to receive daily snacks. Weekly bags are available once per week. We highly encourage the community to utilize the Just in Time Mobile Pantry that occurs during the 3rd Thursday each month in Parking Lot H.
4. Do I need to have identification with me to get the services? Identification is not required. However, you are required to provide basic information to the student pantry workers such as your name, address, number of people in your family, and email address. 5. Do I need to reside in Santa Clara or San Benito County? No, you do not need to reside in a particular county to receive services. 1. If I am on my parent’s CalFresh case, do they need to attend the appointments with me? Students who are 18 years or older do not need to bring a parent/guardian. However, if you are under 18 years of age your parent/guardian would need to attend your initial intake appointment. 2. Can I apply for CalFresh through the Fresh Success Program? CalFresh application assistance is available through the Gavilan College Food Pantry. You may contact the Food Pantry directly at (408) 852-2855 for more information. You may also apply online at getcalfresh.org or within your county Social Services office. 3. Do I have to be a full time student to be part of fresh success? No, Fresh Success does not have a unit minimum requirement. 4. Do I have to be referred to the Fresh Success Program by a county worker? 5. If I become ineligible, am I responsible for reimbursing the Fresh Success Program? No, we disburse services such as textbook voucher, transportation and other services within months students meet the eligibility requirements. If a student becomes ineligible in a future month, he/she is not responsible for returning or reimbursing the program. However, current students who meet all eligibility requirements and fail or withdraw from classes may be required to return their books. 1. Do I need a referral from my welfare to work worker? No, you may self-refer to the CalWORKs program by stopping by our office or calling us at (408) 852-2838. Once our office identifies that you are eligible we will work with you through the county processes. 2. Can I apply for Financial Aid and be part of the CalWORKs program? Yes, we encourage all of our students to apply for Federal Financial Aid. 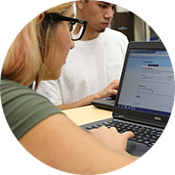 Additionally, students who may be eligible for a CalWORKs grant, must have a FASFA on file. 3. Can I take online classes? Yes, online and in person classes are allowed. 4. What are the minimum units required for the program? The CalWORKs program does not have a minimum unit requirement. The CalWORKs program requirements are based on the state and federal regulations. A single parent family with at least one child under the age of 6 years old is required to participate in 20 hours/week of an approved activity. A single parent family with no child under the age of 6 years old is required to participate in 30 hours/week of an approved activity. A two-parent family is required to participate in 35 hours/week of activity. There are situations in which a parent and/or family may be exempt from the weekly hour requirement. CalWORKs students will meet with their CalWORKs Welfare to Work worker to establish a WTW plan. This plan will outline the approved activity (ies) and number of required hours of participation each week. 5. If I need to change my TBA due to dropping/adding classes who do I make an appointment with? If you need to make changes to your TBA, you should schedule an appointment or drop in during drop in hours with the CalWORKs Program Specialist. 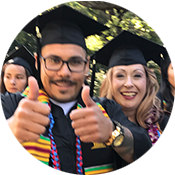 If you add/drop classes in addition to meeting with the CalWORKs Program Specialist, you should also meet with the CalWORKs counselor to up-date your educational plan. 6. Does it matter which county I am receiving assistance from? No, The Gavilan College CalWORKs program serves all CalWORKs eligible recipients regardless of what county you reside in. 7. If I move to another county, am I required to inform Gavilan College CalWORKs staff? Yes, we require that you notify our office of all changes that may affect how you receive services and what services you may be eligible for. Every county’s CalWORKs program is slightly different. Our office can assist you in creating a smooth transition plan from one county to another.